This week's topic was favorite science fiction and fantasy books! In collaboration with the BooktubeSFF Awards, talk about your favorite science fiction and fantasy books of all time! I'll admit, I'm generally more fantasy-oriented than sci-fi, and when I do consume science fiction, it's usually TV or movies. So, don't expect to see any hard sci-fi here. Do expect, however, to see some good books. Although this is a children's book, I think anyone of any age could get something out of it. The story follows a pilot who crash-lands in the Sahara desert, where he meets a mysterious little boy who refuses to answer questions. 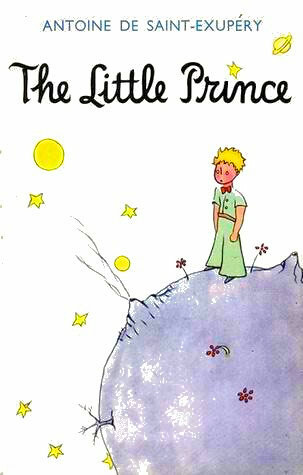 The narrator dubs him, the Little Prince. 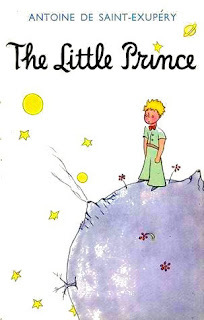 While the pilot works on repairing his plane, the Little Prince tells his incredible life story, beginning on a tiny asteroid, where he lived alone with his plants, including a particularly temperamental rose. What follows is an odd, melancholy story as the Prince recounts all the people he's met on all the planets he's visited. The book is, at its core, more about growing up and the struggles of the adult world than it is about the Prince's space travels, but I think that the space travels combined with the talking animals and the Prince's mysterious, otherworldly nature more than qualifies it to be in the sci-fi/fantasy bracket. Although it's a sad story in many ways, it's never overly-so; the story never feels like it's being all doom-and-gloom for the sake of it. It's simply a very, very honest look at the adult world, and how it all feels to a child -- and how it feels to have to leave childhood behind, for better or for worse. The more fantastical elements make it easier for a younger reader to grasp, but adults can still easily appreciate it. 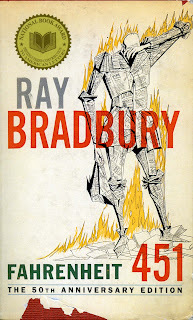 Often considered to be one of the great classics of science fiction, Fahrenheit 451 is set in a world where reading books has been outlawed, and a fireman's job is to burn any books that are found in people's houses. Our protagonist, Guy Montag, is a fireman, and he's never really questioned his role in society. That is, until he meets Clarisse, a friendly, talkative teenager who's considered to be "crazy" by this society, because she can think for herself. Her innocent question of whether or not he's happy forces Guy to realize that, no, he isn't. 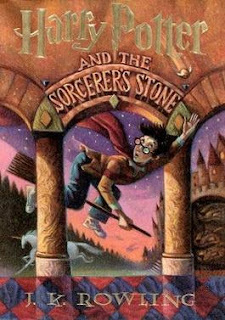 This starts him on a journey as he begins to question for the first time, why were books banned in the first place? This book is beautifully written, and Captain Beatty is easily one of my all-time favorite literary antagonists. The presence of technology like the Mechanical Hound and Montag's wife's interactive TV screens place this in the realm of science fiction, but an uncomfortably plausible one. 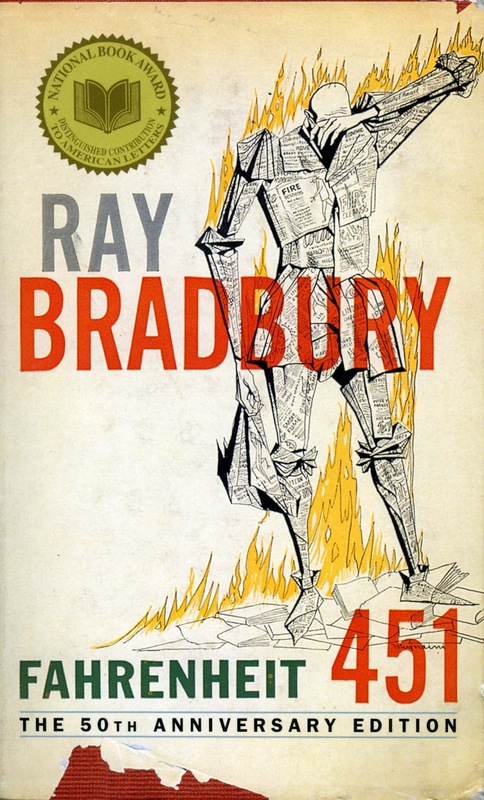 Of course, there's a big debate among readers as to what, exactly, this book is denouncing -- new technology, censorship, police control, something else entirely? Well, everyone has an opinion -- read the book and form one of your own. 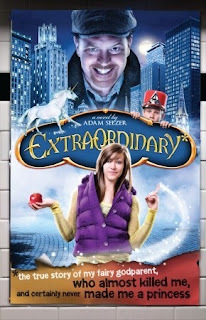 I've made my love of the YA author Adam Selzer known on this blog before, but this stands out to me as his strongest work. The story is narrated by Jen, who's sort of famous because a book based on her life was published, and became a huge hit. The book details how Jen became a princess with the help of her fairy godmother, and won the heart of the vampire prince, Fred. The only problem? The book is totally inaccurate. Jen's no princess, her boyfriend isn't a vampire, much less a prince, and the fairy godmother in question was a rude, foul-mouthed creep with a slightly homicidal streak. And also, a guy. So, Jen's taken it upon herself to set the record straight. This book is absolutely hilarious, and is just as much a parody of the fantasy genre as it is an example of it. It's set in a world where vampires, zombies and the like have all recently "come out of the coffin" ... but it's been, like, six years, so everyone's pretty much over it. It satirizes both the paranormal, and how people perceive it, especially in regard to fictional paranormal creatures. And, on top of the humor, it has a great story with likable characters. What's not to enjoy? Yeah, yeah, I'm predictable. But I stand by my choice. It's an incredible series that's impacted the lives of so many people, including me. If I left it off of the countdown, I'd probably get my Potterhead card revoked. I'd tell you all to go read it, but chances are, you already have. Good Omens is my favorite book of all time, and if you haven't read it, stop what you're doing, go read it (or listen to the audiobook, it's just as good), and then come back. 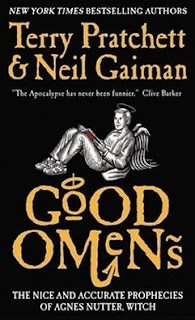 ...Okay, now that you've read this novel about a fast-living demon and a neurotic angel who team up to stop the Apocalypse from happening, we can discuss. By far the best part of this book is its sense of humor. It mocks the hell out of everything, from the Bible to Queen to motorcycle gangs -- if it exists, this book makes fun of it. It has an odd, Hitchhiker's Guide to the Galaxy-esque feel, but it's very much its own animal. And it's not all snarky comments and pop culture references; the ensemble cast is incredible, and their many storylines intertwine and collide in unexpected and hilarious ways. The "stop Armageddon" plot may begin with the angel and demon, but it quickly grows into something much bigger -- just like Armageddon is something much bigger than any of our characters have ever had to cope with before. It takes one of the most terrifying scenarios possible -- the end of the world -- and makes it not only funny, but poignant and touching, and it has its cast of characters to thank. I've read this book literally dozens of times, and will continue to do so as I wait for the miniseries to come out next year. Thank you so much for reading this countdown! If you have any fantasy or sci-fi favorites I didn't mention, tell me about them in the comments below! I'm always looking for book recs! If you have a dollar or two to spare, why not check out my Patreon page? You can support me and my writing, and you'll get to vote on topics I cover on this blog! Thanks!